As more and more products become ‘smarter’, retaining a sense of the status quo is increasingly becoming a focal point of discussion. Samsung’s contribution to this conversation is the Gear S3. The company has perfected a wearable device that exceeds the limitations of analogue with innovative digital technology, yet pays the deepest homage to the craftsmen who breathed life into timepieces of old. The watch you are familiar with fused with the smart technology, Samsung introduces the Gear S3, the smartwatch. Outdoors or in a board room, the Gear S3 frontier performs in any environment. Nevertheless, it looks and acts the way it should—as a workhorse that is equally elegant in a three piece as it is rugged in the great wilderness of nature. The Gear S3 classic is aimed at stylish 20-30 somethings who value function and practicality. A hipper, younger design with no frills was the approach for this version of the device. Added to that is the diverse range of wristbands that let trendsetters express themselves in their own unique way. Recently, consumers are seeing smartwatches not as smart devices but as multi-purpose timepieces. 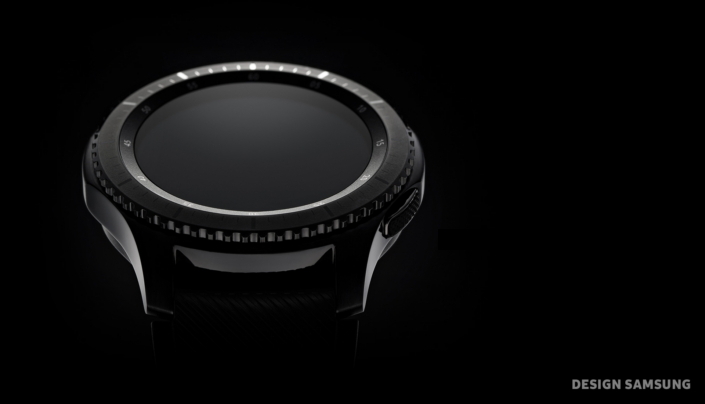 As such, refinement was the key concept for the design of the Gear S3. The company undertook an exhaustive study of timepieces, surveyed a wide range of users and attempted to define the size and form factor of a watch that makes it just that, a watch. Stainless steel 316L, the most commonly used material for watches, was selected for the Gear S3. Adding to its durable surface are simple modification molding and tempering finishes that enable for a device that is not only sophisticated but sturdy and reliable. The circular UX, first introduced in the Gear S2, was once again applied to the Gear S3, showcasing a new direction in wearable UX design. 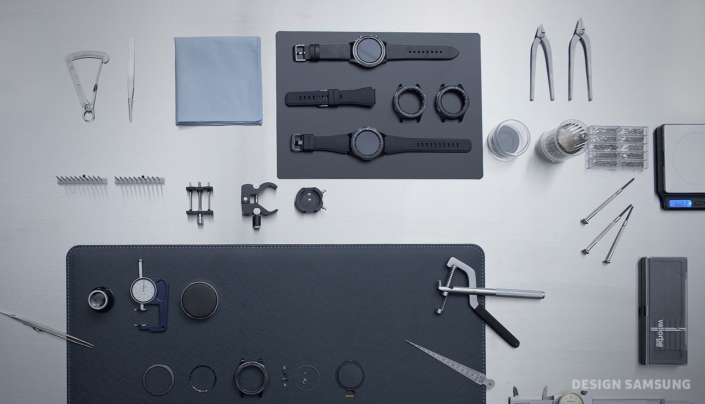 Like a master watchmaker carefully placing the hour and minute hands in place, the watch face of the Samsung Gear S3 has been carefully set in place. The near microscopic details of a watch piece have been painstakingly recreated digitally in the Gear S3 with added function that can only be realized in a digital environment such as weather updates, schedule reminders and a heart rate monitor. The new Samsung Gear S3 is not just a new smart device but a wearable one that complements your way of life. That’s why the Always On Display has been improved upon. With a newly structured low energy setting, the watch face is always on, with more vibrant color and detail, like its active second hand. Going beyond the basic functions of a smart device by innovating your way of life, the Samsung Gear S3 begins your journey of Meaningful Innovation as a new vision in wearable technology.